After a number of years in the trading industry, it’s difficult to avoid criticizing every little detail of various education systems. At a certain point, it seems as though you’ve heard it all in regards to companies selling their systems (and the questions that come from potential customers of said systems). You even begin to see an almost political sense of loyalty begin to form between traders and THEIR system. Rarely does a trader admit, openly, to the flawed practices which they adopted at one point or another. I recently heard a pitch so convincing that the educator didn’t even really sell an actual product. His system consisted of making live trades and explaining why certain decisions were being made and why. Most “educators” who follow this model have 12-20 years of experience in trading and, as mentioned previously, cannot actually replicate their system because it made up mostly by personality traits instead of technical coding. “Over 75 percent accuracy,” the salesman says. Your eyes light up as you wonder whether or not he’s telling the truth. Surprisingly, the answer is most likely yes. But beware of the word “accuracy,” which will always be used as a tool in selling a system because of its ability to be manipulated. For example, you may find systems that are only actually accurate 15 out of every 100 trades. These systems still claim higher percentages because their trade structure outweighs the 85 losing trades with the 15 winning trades. The opposite can also be true. A system can be successful on 95 out of every 100 trades, but still lose money overall because the trade structure outweighs the 95 wins with the five losses. After hearing the word “accuracy,” the best practice is to always make sure to see what the actual overall profit/loss is. Another buzzword traders often hear as they research trading systems is “guarantee.” This is obviously in regards to pricing or satisfaction quality, as it is neither legal or ethical to make future guarantees on profits. Again (just to be clear),there is only one type of establishment which can promise specific returns: federally regulated banks. Not one mutual fund, 401k, stock or trading account in existence can guarantee future profits. Occasionally a potential trader can come across a trading and education system that is a total and complete rip off. While this becomes more and more rare as time passes, it’s still a possibility. In most cases, these systems promise huge profits on little effort from the trader. Money is exchanged, likely never to even be invested. There are certain safeguards which are continually being put into place to help guard against this type of fraud, including federal laws requiring risk disclaimers on all trading websites and online entities. However, it’s still important to keep this in mind when searching for your system. “Even a monkey could trade this,” is something a presenter might say while showing you a trade system demonstration. This may sound like they are trying to convince you, but in a sense, they could be right. A study was conducted years ago involving a human and a monkey. Both sat in front of a computer and asked to trade for a specific duration of time. By the end of the experiment, the monkey had made more money than the human. Obviously, results from the case above are rare, and should be taken lightly due to it being a single instance of the experiment. If it were run 1000 times, results would surely differ. The main takeaway here is that education salespeople will do anything to make trading look easy, which the reality is that it simply is not. In certain cases, new traders can remain profitable for a short period of time, but that doesn’t mean their strategy is perfect. A good thing to remember for new traders is to practice trade execution for a minimum of one month prior to increasing leverage and trading substantial funds. In conclusion, day trading education is not something to take lightly. While many people learn and make a living day trading, others make their living by selling faulty and outdated education products. 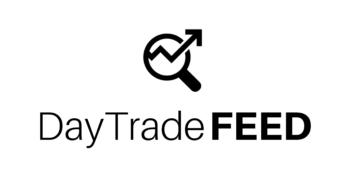 Here at Day Trade FEED, we’re doing our best to make sure everyone who is interested can learn to day trade without navigating all the tricks of the sales trade. When choosing a day trading system, make sure to use the product as much as possible before paying for it. Do this by using free demonstrations, trial periods and other forms of test drives. Remember, if an education system doesn’t allow you to try before investing, it may not be worth your time. Trading is something that is difficult enough without trading platforms and software companies misleading you. Find Day Trading Education Through DayTradeFEED.com! This article is only part six in a series aimed at helping day traders understand what mistakes to avoid. Free day trading classes are now available for everyone! With summer here, planning vacations and little getaways has become pretty common. Unfortunately, with that planning comes the anxiety and insecurity that only financial uncertainty bring. Look, we’ve all been there. And it’s no secret that we all wish we had a little bit of extra income to give us the financial breathing room to actually enjoy these trips. Well, look no further. Starting now, Day Trade FEED is offering free Day Trading Classes! Whether you’re a day trader who has been day trading for the past ten years, or simply wanting to find out about some different options to help you out financially, this is the opportunity you’ve been waiting for. For more information on these free day trading classes, contact us or register for a free, no-strings-attached day trading webinar. We understand if you’re a little unsure, but rest assured our proprietary indicators and tried-and-tested education program can and will make you successful. Free Day Trading Classes can be confusing, so Day Trade FEED wants to help you understand the Day Trade My Money Program! We’re absolutely positive you’ll see what you like at these free day trading classes, and we’re even willing to put money on your success! One of the main offerings you’ll learn about at Day Trade FEED’s free day trading classes is the new Day Trade My Money Program. Basically, we trust this system so much that anyone who is willing to learn it, live it and love it enough to give it the effort required will be eligible to have an account funded by their corporate office… and yes, you read that correct. They will GIVE YOU MONEY TO TRADE. Many people ask themselves why a company would do this instead of just trading their own accounts to make profit? “Every trader hits a limit where the risk is more than they are willing to take on individually. If we traded accounts totaling millions, taking a loss could be very significant. What do these free day trading classes teach? The answer is simple: free day trading classes teach you day trading 101. While most traders we deal with decide to trade the EUR USD forex market, we do see the occasional trader decide to jump right in and trade futures markets. The reason many traders decide initially to trade forex is because the market in general is slower moving, meaning more time to make decisions and a smaller chance at taking losses. …BUT the beauty of these free day trading classes by Day Trade FEED is that they focus on the individual! We recognize that no two traders are the same, in fact, we love the diversity! That’s why when a trader tells us they want to trade futures markets, we don’t even bat an eye. Should You Be Day Trading Ethereum? Should I Be Day Trading Ethereum? First of all, let me just remind everyone that day trading Ethereum is something many people are already doing. However, every and all cryptocurrency markets are extremely fragile, and should be treated as so by day traders. Now that that’s been said, let’s talk a little bit about day trading Ethereum, and why many investors think the new cryptocurrency will fail. Is Day Trading Ethereum a Bad Idea? As it stands now, Ethereum is the second largest cryptocurrency platform available today. Unfortunately, being ranked as such doesn’t protect you from the ups and downs that are the cryptocurrency markets. For example, Ethereum’s value dropped nearly 36 percent in the past year. Many think this recent drop has hit it’s low point, and will begin to start climbing again any day now. However, many experts believe this currency has more room to fall, and will do so in the coming months. Above, we mentioned experts who believe Ethereum will continue to fall in the coming months. Among them is New York-based Tetras Capital, who has been taking short trades on Ethereum since May of 2018. Last week, Tetras Capital even released a 41-page analysis report on Ethereum and why taking short trades is the right answer for traders. Other experts shorting Ethereum include Timothy Young, former entrepreneur who made more than $100 million when he sold the company Socialcast in 2011. Neural Capital is also holding its short position moving forward. Each of these different capital firms are betting against Ethereum. As we look at their reasoning, it becomes more and more clear that there are specific reasons behind the decision. For example, Ethereum can only handle around 15 transactions per second. In contrast, Visa can handle more than 24,000 transactions per second. “Just because something is a good idea doesn’t mean it’s a good investment,” said Tetras Capital founding partner Alex Sunnarborg. In conclusion, we here at Day Trade FEED believe you SHOULD be day trading Ethereum, just as long as you keep holding onto that short position. Ethereum seems like it’s heading downhill, so a short position (similar to that of the firms mentioned above) should be incredibly profitable as the market continues trending downward.